Ladbrokes and Sportsbet have two outstanding offers available on the EPL. When the offer is active, your bets with the bookies on the Match Odds markets for all EPL games will be paid out as a winner if your team is leading at half-time. This offer represents huge value, and there are a few ways that you can approach it. These are just one of the offers on the EPL this weekend. The rest can be found in our offer calendar. We’ll be documenting all of our bets in the Matched Betting Diary. So if you’re new to these types of offers, feel free to follow how we are playing the offers. 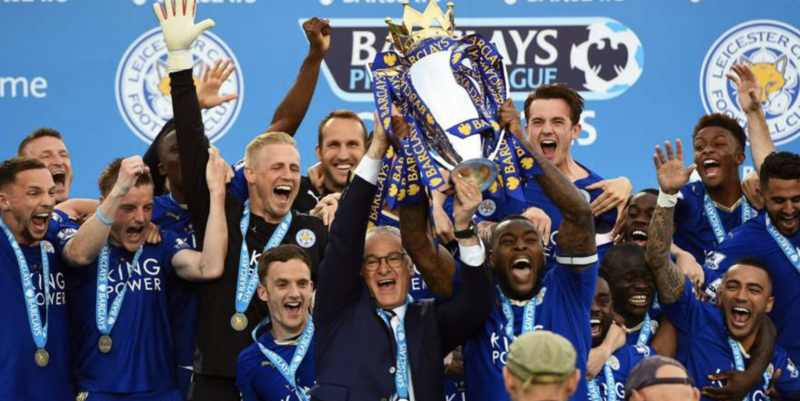 The bookies want you betting with them throughout the season on the EPL. To encourage you to deposit with them, both Ladbrokes and Sportsbet have an offer on the first week of the EPL. The offer from Ladbrokes and Sportsbet means your bet will be paid out as a winner if your team leads at half time. This gives you a great opportunity to have 2 bets on the same market paid out as a winner. You could visit every bookmaker's site and check what promotions they have on offer. Or you can visit our offer calendar. It lists all promotions with a positive expected value. You will obtain more EV by playing these offers on the outsiders. That being said, you don’t want to be taking too large of a qualifying loss. Historically, there is around a 13.5% chance of a team leading at half time and then not going on to win. This is split evenly between home teams (6.8% of matches) and away teams (6.7%). So about 1 in 10-15 games this should hit. We will get a more accurate EV by looking at the odds. The longer the odds, generally the higher the EV. You can also place larger back stakes with the bookies to increase the EV. Sportsbet allows wagers up to $500 whereas Ladbrokes is uncapped. With a $500 stake on Leicester with both workings, you’d be taking $104.10 in expected value. There are a few methods that you can apply to take advantage of this promotion. You can make the whole process risk-free, you can trade out in-play, or you can back and then lay or dutch and hope that both your bets settle as winners for a big payday. You will take more EV and a larger payout if you take selections with higher odds - the underdogs. If you are planning to trade out, you’ll need to be awake for the games! It depends on which method that you pick. Backing/Laying or dutching doesn’t require too much skill. The odds are very stable on EPL markets which allows you plenty of time in between bets without the odds fluctuating too much. If dutching, you’ll need to have an understanding as to how the dutching calculators work, which you can find here. Trading out your position does require a little more skill, as you’d then be betting in-play where odds are fluctuating very quickly. Also, as most of the fixtures are in the middle of the night, this has to be factored into the difficulty equation, mistakes can be made when tired. You will also need to call up Betfair to place your bets thanks to the law. Alternatively, you can use a VPN to trade inplay. Locking in a profit before the game kicks off is great if you want to pick up some risk-free profits. However, doing so on this offer requires a large bank. There are several bets to place too which adds to the difficulty factor. The simplest method and the one that we recommend is to use the dutching calculator and play the promos against one another. Whilst the risks are minimal playing this offer, there are still some to be aware of. All of which are human error. As said above, the simplest methods are to back/lay or dutch the promos. Once you have placed your bets you can then check the results in the morning and count your profits. That being said, you need to ensure that you are placing the correct amount as per the calculator suggests. Whether that's the back/lay calculator or the recommended stakes in the dutching calculator. Make sure that you are placing the correct bet. Many a time, people have placed a back bet on Betfair instead of a lay bet. If you are new to Betfair it can easily be done. Ensure that your lay bet is matched before going inplay. Leaving a bet unmatched, you effectively having a punt that the odds will move in your favour. The risk doing so is that it won’t match and you’ll be exposed to losing your back stake without making up that loss elsewhere (matched bet). If you are locking in a profit pre-game, matching your bets is imperative. So the risk level increases as there are more bets to place. You can back a team at the bookmaker and lay the same team on Betfair and hope your team leads then fail to win. If doing this then as shown in the EV calculations above, you are almost always better off placing the bet on the outsider to generate more EV. This offer can also generate risk-free profits by again backing a team at the bookmaker and lay the same team on Betfair. You would then also place 2 lays in the half time/full time market on Betfair. A calculator for the offer can be found here. If you are awake during the games, there are opportunities to trade out during the game. If your team is leading at half-time and you want to trade out, you can simply use the cash out facility with Betfair. Make sure you use Betfair rather than the bookmakers as they will offer you poor odds thus making you less money. If you are unable to use the cash out facility, you can call Betfair up and do so on the phone.